An 18-year-old female driver is in stable condition after falling asleep and driving off Interstate 35 causing the busy highway to be shut down for several minutes. 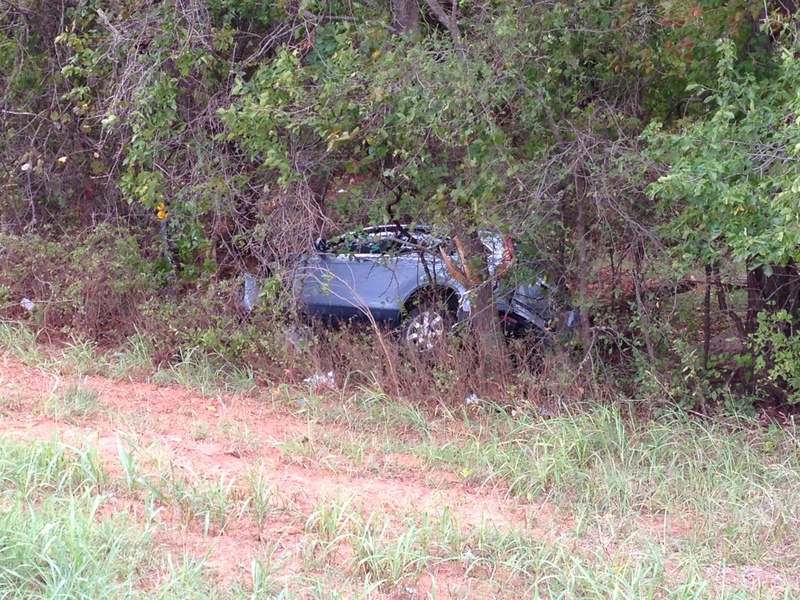 The accident occurred approximately a mile and a half from Mulhall Road (mile marker 168.5) just after 1 p.m. The Guthrie Fire Department responded to the scene. Hayley Chow, 18, of Plano, Tx, was air lifted to OU Medical Center via Eagle Med, where she is listed to be in stable condition with head, arm and leg injuries. According to the Oklahoma Highway Patrol, Chow’s 2008 SUV left the highway as she traveled southbound before falling asleep and drifting 530 feet, striking a tree and into a shallow creek. The southbound lanes were shut down for 31 minutes for the air ambulance to land and lift. One Response to "Sleepy Texas driver runs off Highway 35 into tree"
Go on a safari. Safaris are an alternative only if they are short aas well aas the guest goes back to the hotel to sleep. a stampede of wild elephants.